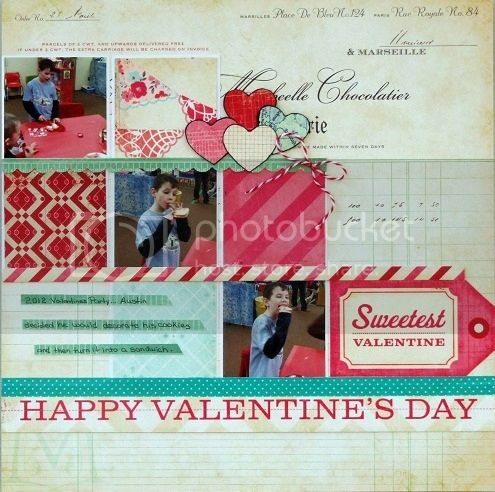 The love is in the air crop is going on this weekend at My Scraps and More. Hope you will come join us for fun challenges and games. Don't worry if you don't have a lot of time to scrap this weekend because you will have all week to get the challenges done. Here is a page from one of my challenges.